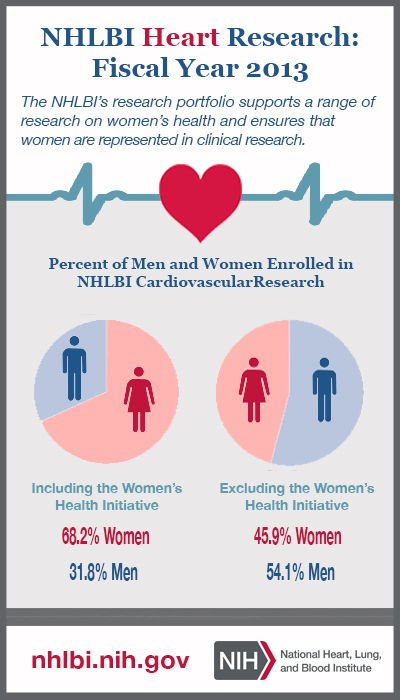 The NHLBI's research portfolio supports a range of research on women's health and ensures that women are represented in clinical research. 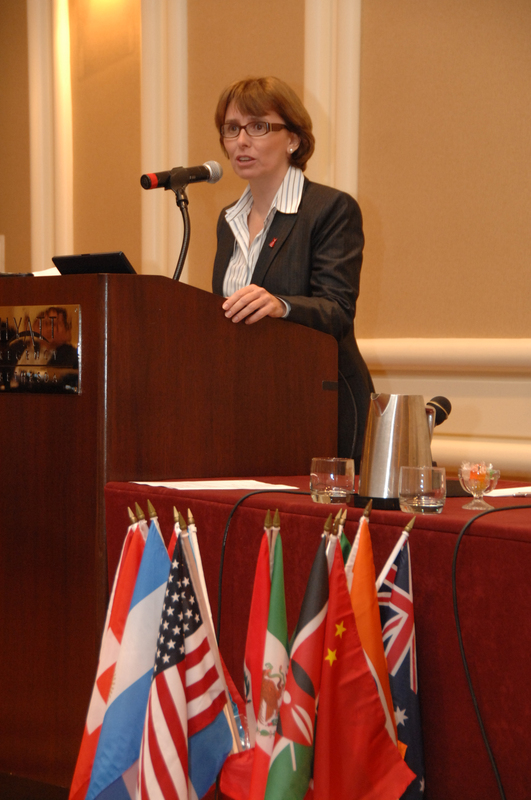 NHLBI Program Director Dr. Cristina Rabadán-Diehl greets Centers of Excellence representatives from around the globe, UnitedHealth Group members, scientific advisors, and NHLBI staff, including Acting Director Susan B. Shurin, M.D., on December 16, 2009 in Bethesda, Md. Students from Umana Middle School Academy and their principal, Jose Salgado, Ed.D., playing at a We Can! event held at the Boston Children's Museum's Kid Power exhibit. 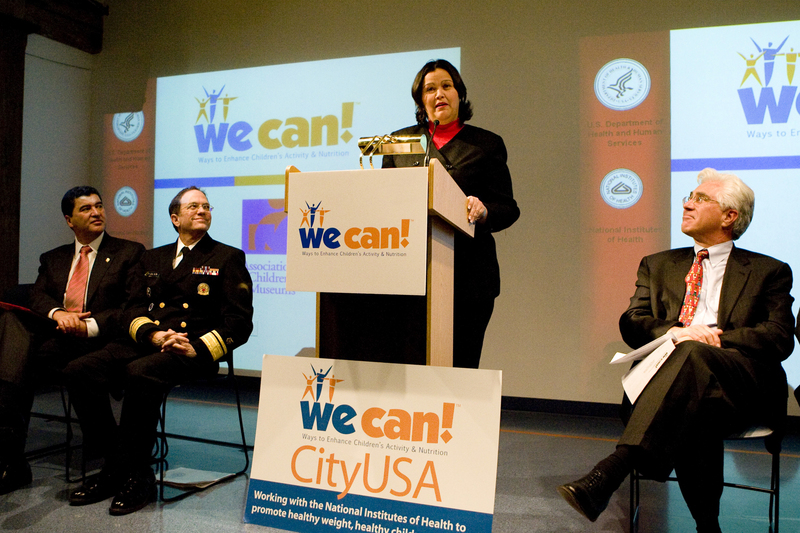 At a November 2007 news conference, Ivonne Borrero, mother of 2, describes how the We Can! parents' program has helped her family learn to eat healthier and be more physically active. We Can! (Ways to Enhance Children's Activity and Nutrition) is a science-based national education program developed by NHLBI to help children ages 8 to 13 stay at a healthy weight by improving food choices, increasing physical activity, and reducing recreational screen time. The news conference announced the expansion of We Can! through a partnership with the Association of Children's Museums. Additional speakers (pictured, left to right) included Dr. Elias Zerhouni, NIH Director; Dr. Steven K. Galson, Acting U.S. Surgeon General; Lou Casagrande, president and CEO of Boston Children's Museum, which hosted the event. 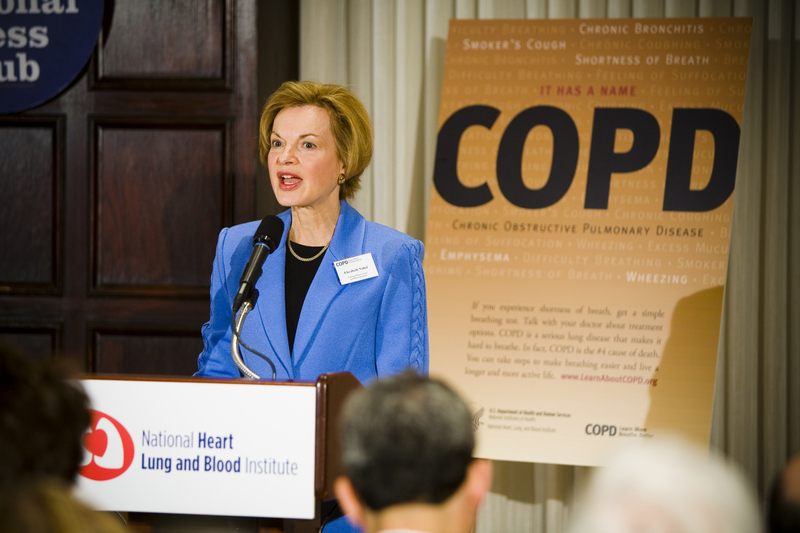 NHLBI Director Dr. Elizabeth G. Nabel speaks at the January 2007 launch of the NHLBI's Learn More Breathe Better campaign to raise awareness of chronic obstructive pulmonary disease.